﻿2016 was another growth year for tent camping participation and 2017 looks like even a busier year for camping. A majority of all ages surveyed plan to spend more or the same number of nights camping this year. 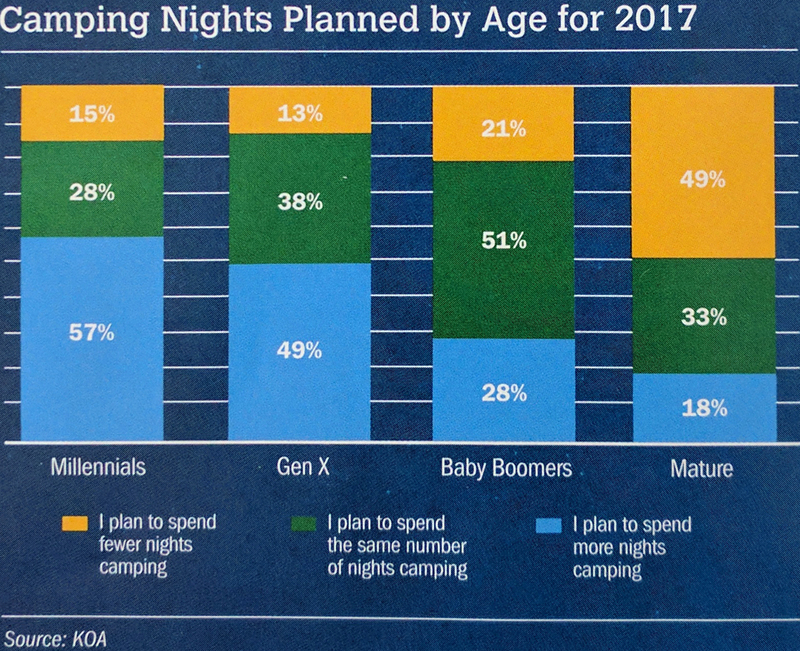 Millennials are leading the way by far showing the most enthusiasm over tent camping nights in 2017. ﻿﻿71% of teen campers surveyed by KOA said they still want to camp even without access to technology or the ability to stay connected. In fact, half of the teens surveyed say that camping offers them an opportunity to unplug from technology according to the study. So grab your tent, put down your devices and get out there and look around and enjoy!